These Competition Rules apply to the carrying out of USPE European Police Championships (EPC). 1.3.2	Competitors suspended from sports contests by the USPE or by the respective sports association due to having violated the relevant doping regulations are not eligible to enter. For verification of a person’s eligibility, the presentation of the police ID and passport or national ID-card (including a photo) must be presented to the USPE Technical Delegate. In case these documents are not presented, permission to start could be refused. All teams shall wear uniform sportswear displaying the emblems of their individual member union. 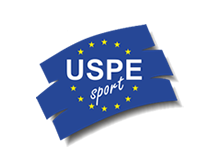 On behalf of the member country union in charge of a USPE European Police Championship the USPE Secretary General shall invite all USPE member countries to a championship in writing as early as possible, however, as a rule, no later than 12 months prior to the event. The organizer is to ensure that the inspection of the competition venue and the accommodation by the responsible member of the USPE Technical Commission of USPE is conducted no later than seven months prior to an EPC. 2.3.1	The USPE Secretary General will send the respective Invitation to Enter a USPE European Police Championship to the participating member countries after approval by the member country in charge and the responsible member of the USPE Technical Commission, no later than six months prior to the date scheduled for the event. The final closing date for submitting the number of competitors entered in the contest shall be six months prior to the event, at the latest. The names of the participants must be submitted six weeks prior to the first day of the event. Subject to the USPE rules of the individual rules late or changed entries may be authorised by the organising committee of the respective EPC. The composition of the jury (appellate jury) shall comply with Art. R19 of the USPE Rules and Regulations. The proceeding in case of complaints is also subject to the provisions laid down in Art. R19 of the USPE Rules and Regulations. After confirmation by the USPE Technical Commission an initial Invitation to Enter for the Preliminary Round will be sent by the USPE Secretary General. After approval by the host and the responsible member of the USPE Technical Commission the Invitation to Enter for the respective Preliminary Match/Group will be sent by the USPE Secretary General to the participating member countries in time. 2.4.1	The organiser of an EPC is in charge of ensuring that there are sufficient referees. The minimum standard for the referees is the highest national level. Exceptions to this must be approved by the responsible member of the USPE Technical Commission in charge for the respective sport and the USPE Secretary General. Regarding individual competitions, the decision on additional referees shall be taken by the USPE Secretary General and the responsible member of the USPE Technical Commission. 2.4.2	In basketball, football and volleyball each country qualified for the Final Round must provide a referee. As to handball, the EHF will be requested to provide international referees for the Final Rounds. In case of non-compliance in basketball football and volleyball, the respective country has to pay an additional registration fee to the USPE. This fee will be transferred to the organiser to pay a substitute referee. The amount of the fee is fixed by the USPE Executive Committee. All other expenses have to be paid by the respective member country. There shall be no more than 1 match per team a day with a maximum of three matches consecutively. The organiser must play the first match of the Final Round just after the Opening Ceremony. In the Final Round for team events the main referee must be from a neutral country. If this is not possible a final decision will be made by the responsible member of the USPE Technical Commission. The USPE Secretary General has to publish the results of the EPC. The responsible member of the USPE Technical Commission will be responsible for evaluating the results. He will give an evaluation to the USPE Technical Commission. The winner of each individual competition of an EPC is “European Police Champion”. As to team or relay competitions organised within the framework of an EPC, each competitor of the winning team/relay team is “European Police Champion”. Competitors taking first, second and third places in any of the individual competitions are awarded prize medals. As to all team and relay events, the competitors of the teams/relay teams coming first, second and third are awarded prize medals. As to team sports events, the players, also the attendants of the teams coming first, second and third are awarded prize medals. The donation of challenge trophies and honorary prizes is possible. In agreement with the donor the organiser determines the main features of the respective trophy/prize and arranges the relevant modalities. The USPE competition rules complement the fundamental rules generally adhered to by the responsible international sports associations whenever deemed absolutely indispensable. 4.1.1	The rules and regulations laid down by the Fédération International de Basketball (International Basketball Federation; FIBA) shall apply, unless otherwise stipulated below or provided for in the respective Invitation to Enter. 4.1.2	Each EPC shall comprise Preliminary Rounds round and a Final Round. Preparation and organisation of the Preliminary Rounds depend on the number of engaged teams. Subject to rule 1.3.1, at least six teams take part in the Final Round. The number of participating teams is set by the USPE Technical Commission and is guided among other things to the total number of enrolled teams. The team of the organising member union is qualified directly. In the preliminary round, each team shall be allowed to enter up to 12 players as well as up to three attendants. In the Final Round, each team shall be allowed to enter up to 12 players as well as up to four attendants. 4.1.3	The USPE Technical Commission decides about the organisational framework of the Preliminary Rounds and the rules and regulations applicable to the Final Round 18 months before the start of the Final Round. The list of players is closed during the technical meeting. No changes will be allowed after the technical meeting. The Preliminary Rounds should to be concluded no later than four months prior to the start of the Final Round. 4.1.4	In the Final Round when there are four teams in each group: In the event of two teams ending up with level match points in the group matches the final rankings will be obtained by comparing their performances exhibited when directly competing against each other. 4.1.5	In the Final Round when there are three teams in each group: In the event of each team winning one game, then the team with the better points difference wins the group. If this does not separate the teams, then points scored decide, then points conceded and then points scored/points conceded (points scored  points conceded). The second place is given to the winner of the game between the remaining two teams. 4.2.1	The rules and regulations laid down by the Union des Associations Européennes de Football (UEFA) shall apply, unless otherwise stipulated below or provided for in the Invitation to Enter. 4.2.2	The EPC comprises Preliminary Rounds and a Final Round. Preparation and organisation of the Preliminary Rounds depend on the number of engaged teams. Subject to rule 1.3.1, at least six teams take part in the Final Round. The number of participating teams is set by the USPE Technical Commission and is determined among other things by the total number of enrolled teams. The team of the organising member union is qualified directly. Each team may enter up to 15 players and three attendants in the Preliminary Rounds. Substitution: The substitution of four players in the preliminary round per team is permitted in the course of the match. A player who has been substituted may take no further part in the same match. Each team may enter up to 18 players and four attendants for the Final Round. Substitution: The substitution of five players per team is permitted in the course of the match. A player who has been substituted may take no further part in the same match. 4.2.3	The USPE Technical Commission determines the organisational framework of the Preliminary Rounds and the rules and regulations applicable to the Final Round. The Preliminary Rounds should be concluded no later than four months prior to the start of the Final Round. If two teams which have the same number of points, the same number of goals scored and conceded play their last group match against each other and are still equal at the end of that match, the ranking of the two teams in question will be determined by kicks from the penalty mark, provided no other teams within the group have the same number of points on completion of all group matches. Should more than two teams have the same number of points, the criterias (1. to 6.) listed above will apply. 4.2.5	If the result stands as a draw in a preliminary match (Qualification for the Final Round), in a placement match, in the semi-finals or in the final, the winner shall be determined by kicks from the penalty mark. 4.2.6	The Jury of Appeal is responsible for the implementation of disciplinary actions. Cautions and pending yellow-card suspensions expire after the preliminary round. Cards received in the Final Round will apply throughout the championship. Cautions and pending yellow-card suspensions from the Final Round expire after the championship. 4.3.1	The rules and regulations laid down by the European Handball Federation (EHF) shall apply, unless otherwise stipulated below or provided for in the Invitation to Enter. 4.3.2	The EPC shall comprise Preliminary Rounds and a Final Round. Preparation and organisation of the Preliminary Rounds depend on the number of engaged teams. Subject to rule 1.3.1, at least six teams take part in the Final Round. The number of participating teams is set by the USPE Technical Commission and is determined among other things to the total number of enrolled teams. The team of the organising member union is qualified directly. Each team may enter up to 14 players and four attendants in the Preliminary Rounds and up to 16 players and four attendants in the Final Round. All players may take part in every match of his / her team. 4.3.3	The USPE Technical Commission determines the organisational framework of the Preliminary Rounds and the rules and regulations applicable to the Final Round. The Preliminary Rounds should be concluded no later than four months prior to the start of the Final Round. 4.	greater number of plus goals in all matches. If the rank is still not possible, a draw decides the ranking. The draw shall be carried out by the USPE, if possible in presence of the responsible team officials. 4.3.5	If a placement match, semi-final or final ends in a draw, there shall be a five minutes break followed by an extra time of 2 x 5 minutes, with a 1-minute half-time break. If the match is still undecided after the first period of extra time, there shall be another break of five minutes followed by a second period of extra time of 2 x 5 minutes, with a 1-minute half-time break. If there is no winner after the second period of extra time, the match will be decided by penalty throws. 4.4.1	The rules and regulations laid down by the Fédération Internationale de Volleyball (FIVB) apply, unless otherwise stipulated below or provided for in the Invitation to Enter. 4.4.2	The EPC shall comprise Preliminary Rounds and a Final Round. For the preliminary round, every team will be able to engage a maximum of 12 players and up to three attendants. For the Final Round, every team will be able to engage a maximum of 12 players and up to four attendants. The list of the players is closed during the technical meeting. No changes will be allowed after the technical meeting. The USPE Technical Commission shall determine the organisational framework of the Preliminary Rounds and the rules and regulations applicable to the Final Round eighteen months before the organisation of this last one. 4.4.3	In the event of level scores regarding both the Preliminary Rounds and the Final Round, the final rankings shall be determined in accordance with Art. 4.7 of the “Senior European Championships Regulations” laid own by the Confédération Européenne de Volleyball (CEV). 4.5.1	The rules and regulations laid down by the International Judo Federation (IJF) shall apply, unless otherwise stipulated below or provided for in the Invitation to Enter. 4.5.2	The EPC will be held with a single championship male and female as well a team competition. The mode of the team competition will be published with the Invitation to Enter. 4.5.3	Each member union may only nominate up to two female/male competitor per weight category. The team for the team competition has to be made with these competitors (no additional competitors). Up to four attendants may be nominated. However, the number of attendants must not exceed the number of sportsmen/-women. In agreement with the USPE Secretary General, the responsible member of the USPE Technical Commission decides which member unions have to send IJF-referees to the Final Round. 4.6.1 The rules and regulations laid down by United World Wrestling (UWW) shall apply, unless otherwise stipulated below or provided for in the Invitation to Enter. 4.6.2 The championship shall comprise the following styles: GrecoRoman and Freestyle wrestling. 4.6.3 Each member union may only nominate one competitor per wrestling style and weight category. Up to four attendants may be nominated. However, the number of attendants must not exceed the number of sportsmen. In agreement with the USPE Secretary General, the responsible member of the USPE Technical Commission decides which member unions have to send FILA-referees to the Final Round. 4.7.1	The rules and regulations laid down by the International Association of Athletics Federations (IAAF) shall apply, unless otherwise stipulated below or provided for in the Invitation to Enter. 4.7.2	In agreement with the organiser and the USPE Secretary General, the responsible member of the USPE Technical Commission determines the disciplines for the EPC. 4.7.3	Each member union may enter up to two sportsmen/-women per individual discipline with regard to both men’s and ladies’ events. One team per relay event may be entered. Each member union is allowed to enter up to 28 sportsmen/-women and up to four attendants. However, the number of attendants must not exceed the number of sportsmen/-women. 4.7.4	In order to determine an athlete’s eligibility to start, the USPE Technical Commission may lay down minimum requirements with regard to the individual disciplines. 4.8.1 The rules and regulations laid down by the International Triathlon Union (ITU) following the Age Group category shall apply, unless otherwise stipulated below or provided for in the Invitation to Enter. 4.8.2 An EPC will conduct a race following the internationally recognised standard distance as follows: 1500m swim, 40km Cycle, 10km run (No drafting). 4.8.3 Each member union may enter up to six sportsmen and six sportswomen as well as four attendants. However, the number of attendants must not exceed the number of sportsmen/-women. 4.8.4 The team score shall embrace the individual results (exact total times) achieved by the first four sportsmen/first three sportswomen. 4.8.5 The championship may be held within the framework of an official Triathlon event. 4.9.1	The rules and regulations laid down by Fédération Internationale de Natation (FINA) shall apply, unless otherwise stipulated below or provided for in the Invitation to Enter. Lifesaving forms part of the swimming competition. The rules applicable to lifesaving are stipulated in the Annex to these Competition Rules. 4.9.2	In agreement with the organiser and the USPE Secretary General, the responsible member of the USPE Technical Commission determines the disciplines for the EPC. 4.9.3	Each member union may enter up to two sportsmen/-women per individual discipline with regard to both men’s and ladies’ events. The number of starts in individual disciplines inclusive livesaving is not limited. Each member union may send up to 28 sportsmen/-women as well as up to four attendants. However, the number of attendants must not exceed the number of sportsmen/-women. 4.10.1	The rules and regulations laid down by the Union Cycliste Internationale (UCI) shall apply, unless otherwise stipulated below or provided for in the Invitation to Enter. 4.10.3 There will be an individual as well as team holdings. In order to determine the team holdings in individual time racing, the achieved times,- for the holdings in road races the places of the four best performing sportsmen of a team, respectively the three best performing sportswomen of a team will be added. 4.10.4 Each member union may enter up to six male and six female sportsmen/-women as well as up to four attendants. However, the number of attendants must not exceed the number of sportsmen/- women. 4.10.5 Each male and female winner of the road race and Time trial shall be awarded the USPE Champions Jersey. The holder of the Jersey may wear it as the reigning USPE Champion in any subsequent same discipline races up to and including the next EPC. 4.11.1	The rules and regulations laid down by the International Tennis Federation (ITF) shall apply, unless otherwise stipulated below or provided for in the Invitation to Enter. One mixed competition may be held. 4.11.3	The modus operandi applicable to the singles and doubles competitions shall be laid down by the responsible member of the USPE Technical Commission in consultation with the organiser and the USPE Secretary General. The single events shall be played in a k. o.-system with a consolation event for the losers of their first match (First Match Losers Consolation). The winner of the consolation event will be honoured with price. The main round will be played with a final and a third-place playoff. The double events will be played in a k. o.-system without a consolation event. The doubles will be played with a final and a third-place playoff. The championship shall comprise a minimum of 5 match days. All matches will be decided by the best of three sets. Exceptions will be governed by the ITF Rules in consultation with the responsible member of the USPE Technical Commission. 4.11.4	Each member union may enter up to five sportsmen and five sportswomen as well as up to two attendants. However, the number of attendants must not exceed the number of sportsmen/-women. 4.12.1	The rules and regulations laid down by the International Table Tennis Federation (ITTF) shall apply, unless otherwise stipulated below or provided for in the Invitation to Enter. 4.12.3	Each member union may enter up to four sportsmen and four sportswomen as well as up to two attendants. However, the number of attendants must not exceed the number of sportsmen/-women. 4.13.1	The rules and regulations laid down by the International Shooting Sport Federation (ISSF) shall apply, unless otherwise stipulated below or provided for in the Invitation to Enter. Each country is allowed to participate with two teams. In agreement with the organiser and the USPE Secretary General, the responsible member of the USPE Technical Commission determines the disciplines for the EPC. 4.13.3	Each member union may enter up to two sportsmen/-women in each discipline. Each member union may send up to 22 sportsmen/-women as well as up to four attendants. However, the number of attendants must not exceed the number of sportsmen/-women. shall apply, unless otherwise stipulated below or provided for in the Invitation to Enter. Building of three start groups, each country nominates one competitor per group. The draw takes place within each group. Start order for second run: Reverse order due to FIS regulation (down from rank 30 or 15; decision by the Jury together with the responsible member of the USPE Technical Commission depending on the conditions of the race track). Start order for groups depending on the conditions and/or weather. 4.14.4	Each member union may nominate up to three sportsmen/-women in each discipline. For the relay competitions, each member union may enter one team. Each member union may enter up to 12 sportsmen and 12 sportswomen as well as up to four attendants. However, the number of attendants must not exceed the number of sportsmen/-women. Authorised weapon:	Sport Pistol, calibre 5.6 mm (.22lfB), in accordance with the rules laid down by the ISSF (Chapter 4.5). Time penalties (30sec / 1 min / 2min / 3min /4 min) for mistakes (not taxatively). Transport of ammunition:	Each competitor is authorised to carry 4 magazines containing a maximum number of 5 rounds of cartridges each. Safety: At the start and after each shooting exercise the weapon must be in a safe condition (the pistol is to be unloaded, the magazine must be removed from the pistol), i.e. the barrel of the pistol has to be empty and must not hold any cartridges, with the hammer assembly being closed or in the cocked position. 4.15.1	The rules and regulations laid down by the International Association of Athletics Federations (IAAF) shall apply, unless otherwise stipulated below or provided for in the Invitation to Enter. 4.15.2	Each member union may enter up to six sportsmen and six sportswomen as well as up to three attendants. However, the number of attendants must not exceed the number of sportsmen/-women. 4.15.3	The team score shall embrace the individual results (exact times) achieved by the first four male runners or the first three female runners. 4.15.4	The championship may be held within the framework of an official marathon event. 4.16.1	The rules and regulations laid down by the International Association of Athletics Federations (IAAF) shall apply, unless otherwise stipulated below or provided for in the Invitation to Enter. 4.16.2	Men’s events will be approximately 12 km, while ladies’ races will be approximately 8 km. The teams scores shall embrace the individual results (positions) achieved by the first four male runners or the first three female runners. In the event of a tie, the position of the last placed runner in each team shall be decisive. 4.16.3	Each member association may enter up to six sportsmen and six sportswomen as well as up to three attendants. However, the number of attendant must not exceed the number of sportsmen/-women. Only dummies and overalls approved by the organiser may be used. Dummies are to be constructed of PITET type plastic and must be hermetic (i.e.) capable of being filled with water and sealed for competition. Colour: The back of the dummies head must be painted in a colour contrasting with the rest of the dummy and with the water. Transverse line: A transverse line of 15 cm is painted in a contrasting colour in the middle of the body (measured 40 cm from the bottom of the body to 55 cm in the direction of the head. Each member union may enter up to four male/female competitors, respectively. The final score will be determined by adding up the times achieved in the individual exercises. In the event of a competitor not finishing or being suspended from an individual exercise, the respective competitor will be disqualified from the overall competition. The competitors will only be allowed one attempt per exercise. In the event of level time scores, the respective competitors will be awarded the same place. As to the 50m swimming, fully dressed, the swimmers will start in wet clothing in accordance with the FINA competition rules. The sleeves and the trousers may neither be rolled up nor be attached to the body by way of any additional aids. They are to reach the competitors’ wrists or ankles, respectively. The jacket is to be buttoned up by using the existing button holes. The respective swimming stroke may be freely chosen; any change of stroke will be allowed. Timekeeping will start at the time the starting signal is given and end with the touch of the wall. The garments to be worn by each swimmer comprise a pair of ankle-length trousers and a jacket with full-length sleeves (wrist length) which must be worn separately (no overalls). It is neither permitted to roll up the jacket sleeves or the trouser legs nor to attach them to the body by any additional means. The jacket must be buttoned up by using the existing button holes. Regarding the diving/swimming combined event (25m diving/25m breaststroke) the start will take place in accordance with the FINA competition rules. After the start, the competitors must cover the first 25m by diving. The stroke used during this diving may be chosen freely. The body must remain completely under water throughout the entire dive. Should one part of the body visibly stick out of the water during the dive, the competitor will be disqualified. Surfacing must take place in the surfacing zone. This surfacing zone is 5m long and starts after a distance of 25m. The place in which the head comes out of the water shall be decisive. The 25m mark shall be indicated for each lane at the bottom of the pool for the male and female competitors to see and, in addition to that, the walls on both sides of the pool shall be marked along the entire surfacing zone. After surfacing, the FINA competition rules governing the breaststroke will apply. As to the 50m rescue of a dummy, the start shall take place in accordance with the FINA competition rules. All dummies will be positioned at the bottom of the pool at a distance of 25m from the start, with their heads pointing towards the starting block, all of them at the same distance and at the same depth. After the start, the competitors may either swim towards the dummy by using any stroke they like or by diving. Subsequently, the competitors shall get hold of the dummies under their armpits, with the faces of the latter pointing upwards and transport them back to the start wall. After taking hold of the dummy, the competitor may push him-/herself off the bottom of the pool one time. Thereupon, the distance is to be covered by swimming on the back. With the exception of the hands touching the start wall, both hands shall remain in constant contact with the dummy and must not be used in order to make any forward movement. Standing up or walking will not be admitted. Timekeeping shall start at the time the starting signal is given and end with the competitors touching the wall of the pool. The team score in combined lifesaving will be determined by adding up the times scored by the 3 x 50m relay team and the times scored by the individual members of the relay team in the individual competitions. Teams with level times scores will be awarded the same place. The competition rules applicable to the individual exercises will also apply to the individual distances forming part of the relay event.